I have just added a freebie to my TPT store. 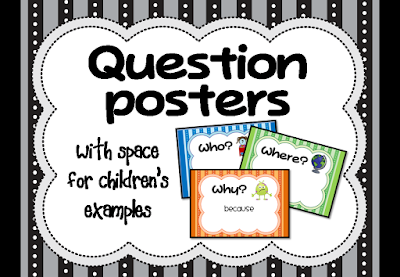 It's this set of questions posters. I'm going to have my class fill the blank spaces with answers to these questions. Alternatively, you could get the children to put examples of questions using these words. This makes the display much more meaningful for the class.